This is the preschool prep class for children who are not yet three year and are looking to enter PreK3 class in fall. At this age each day is a new day and little minds are tiny bundles of excitement and curiosity. We provide a challenging environment within defined boundaries as children are growing. Our teachers engage them in key activities ranging from science, mathematics, language, social and physical development. In this classroom, students are exposed to the International Baccalaureate: Primary Years Programme by introducing the IB Learner Profile Attributes. They begin to explore the outside world by interacting with invited guests, taking trips that enhances PYP experience and participating in structured activities. We nurture each child’s creativity, independence and original instinct by encouraging them to explore, discuss, co-operate, share and collaborate. 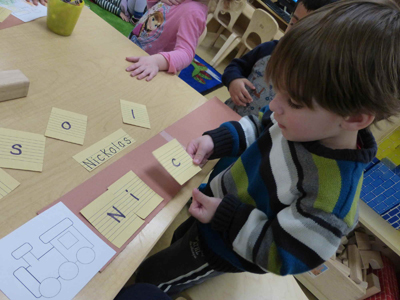 This Pre- K 2 class prepares the children for the Pre-School. Children at this age can hold their strong feelings inside a little bit, but their feelings can easily burst out in a rush of excitement, fear and frustration. Losing control of such big feelings can be very frightening for them and they need plenty of tenderness, compassion and reassurance that they are loved. They are sometimes able to imagine how other people feel, but most of the time their own feelings of jealousy and loving passion for the people in their family are so strong that they don’t have room for imagining other people’s feelings. Children at this age copy the actions of adults and other children. This is why it is so important for parents and teachers to be positive role models and act in a way that children are able to look up to and imitate. Child will be able to jump with both feet together. Child will be able to hold crayons and scribble on paper. Child will be able to run and play chase. Child will be able to ride a tricycle. Child will be able to dress himself or herself. Child will be able to climb. Child can feed himself or herself. All primary teeth should have emerged. Understand what your child is thinking and allows your child to communicate their thoughts and emotions. Often their words or sentences don’t make sense to you, but clearly the more they are successful in getting their message across the more they will want to communicate with you.. Many children are naming lots of things such as dog, ball, drink, and by the end of this year most are saying short sentences. Many children are able to follow an instruction such as ‘bring your shoes here’. They will still get ‘you’ and ‘me’ mixed up sometimes.